Nuxit Review 2019: Is Nuxit a Good Hosting? French hosting company Nuxit has provided over 70,000 personal and business users with high-quality web hosting and other I.T. services since 2003. 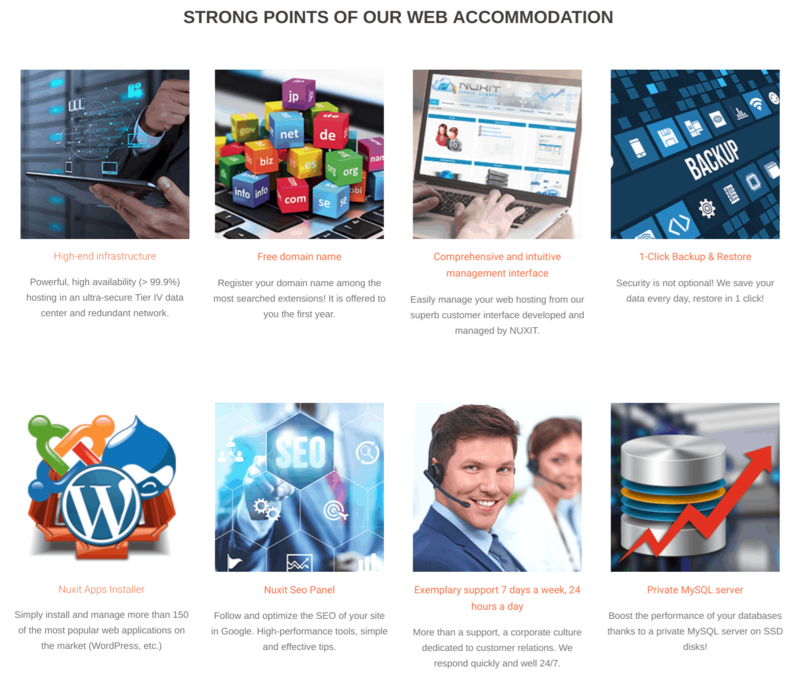 French web hosting and I.T. services company Nuxit was founded in 2003. It has served over 70,000 business and personal customers with web hosting, domain registration, and other internet services. For high-performance customers, Nuxit provides dedicated servers and MySQL databases on SSD drives. Its data center located in Lyon, France, uses green technology and features round-the-clock security. 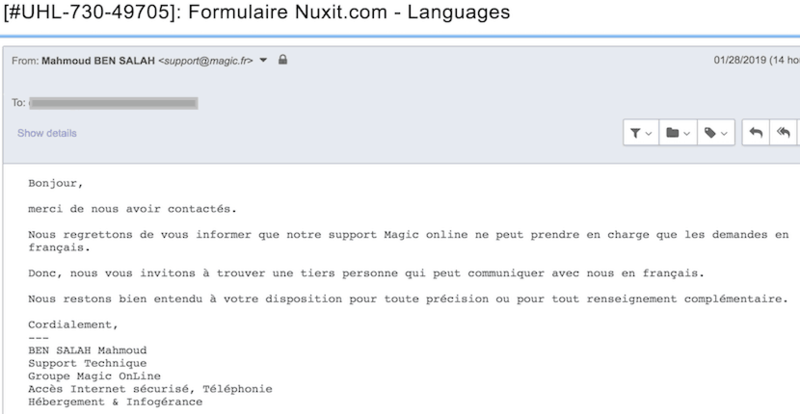 The Nuxit website and customer service are only in French. Besides offering powerful features for advanced hosting users, Nuxit also makes it easy for beginners with no I.T. knowledge to get started with the one-click installation of software such as WordPress. You also get a free domain when you sign up to a plan. As your hosting needs grow, Nuxit has the capacity to meet your demand, and its performance plans begin where the standard plans max out. These performance plans feature semi-dedicated servers with multiple CPU’s, 2 GB to 8 GB of dedicated RAM, up to 500 GB of storage, 25 MySQL databases, and increased email capacity. It’s nice to know that your web host can accommodate your needs as your business grows. Nuxit provides very competitively priced plans. The lowest priced Custom plan costs about as much as a cup of coffee but offers sufficient data (50 GB of storage) and features (10 email addresses) for the money. For several euros more per month, the Unlimited plan comes with unlimited storage space and unlimited websites. If you’re looking for a solid French hosting experience, Nuxit should be at the top of your list of hosts to check out. Its wide array of security, performance, and usability features make it stand out from the crowd, and 24/7 customer support ensures that any issues will be addressed efficiently… provided you speak French. Wondering how Nuxit stacks up against other Web Hosting companies? Enter any other Web Hosting company and we will give you a side-by-side comparison.